The Golden Keys are everything. 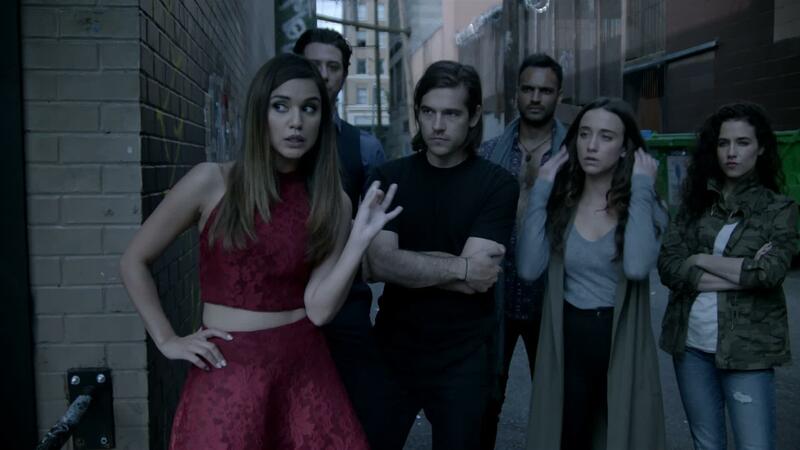 Magic might be dead in The Magicians Season 3, but that’s not going to stop the gang from embarking on an epic quest to try and restore it for themselves, Brakebills, and the many other magicians out there in every world. Syfy released the release date and first full trailer for Season 3, offering us the first look at what the cast called a “unified quest” during New York Comic Con. Season 3 presents all-new character dynamics in a universe without magic, one that borrows sparsely from Lev Grossman’s novels to tell a totally fresh narrative. After some god-plumber shut magic off at the end of Season 2, it left everyone in Fillory and Earth without magic, the crutch that defined so many of their lives. In the past, The Magicians has mostly been about each character’s individual journey as a magician. But without magic, who are these people really? Season 3 will explore that while the many characters embark on their own journeys that are part of the greater quest to bring magic back. The gang might be more unified than ever in Season 3. In Lev Grossman’s The Magician King, Quentin and Julia take a ship called the Muntjac on a journey collecting taxes in Fillory and hunting down some magical golden keys. In Season 3 of the show, things are quite different, with these keys being central to how they’ll eventually restore magic. The trailer confirms that Julia somehow still has a kind of magic, but it’s probably a different kind than the one traditionally used by the characters on the show. Remember, a version of Our Lady Underground once told Julia that she was “destined to discover a new kind of magic” — so that is seemingly coming true. Eliot gets the quest itself from what book-readers might recognize as a version of the Great Bird of Peace, one of the Unique Beasts in Fillory. In the show, the man-bird looks like a peacock similar to The White Lady from Season 2. Called “Questing Creatures” in the show, they grant anyone that catches them one wish. For Eliot, that one wish has everything to do with the quest to restore magic. The bird-man calls Eliot’s “friends” some accurate archetypes: Margo is the One-Eyed Conqueror, Penny is the Traveler, Katie is the Warrior, Quentin is the Fool, Julia is the God-Touched, and Alice is the Torture Artist. Together, will they be enough to restore magic? We’ll find out when The Magicians Season 3 returns early 2018. [The Magicians](/topic/the-magicians) Season 3 premieres Wednesday, January 10 at 9 p.m. Eastern on Syfy.